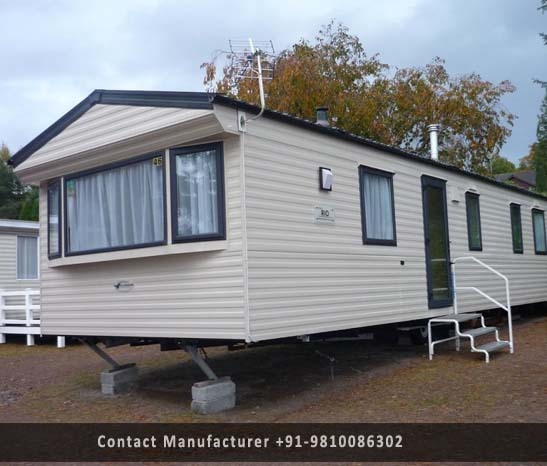 Mobile Homes Manufacturer in Delhi, Mobile Homes Supplier in Delhi, Mobile Homes in Delhi. We are expert in manufacturing a unique range of Mobile Homes in Delhi. These Portable and Mobile homes are designed in agreement with the requirements of our customers using high-class quality raw material and advanced machines and tools. Owing to their splendid colours, aesthetic designs, durability, environment friendliness and waterproofing properties, these homes are widely appreciated by the customers. Our professional team members design these Mobile homes keeping this in mind the corporate and residential look and feel.